The race between SpaceX and Boeing Defense, Space & Security (BDS) to become the first commercial company to send a crewed spacecraft to the International Space Station (ISS) just got tighter. SpaceX has announced the first uncrewed test launch of its Crew Dragon 2 spacecraft has been reset from this month to March. 2. This is the third straight postponement of this key test. The delay has also impacted the schedule for the first tests of Crew Dragon 2 with a human crew on board. This first crewed test is now scheduled for July -- if nothing goes wrong with the uncrewed test in the meantime. The delays by SpaceX has given its only rival, Boeing and its CST-100 Starliner crewed spacecraft the chance to catch-up to Elon Musk's company in the now much tighter race to be the first to send its spacecraft to the ISS. While the goal for both SpaceX and NASA is to be the first to the ISS, NASA’s is to be able to launch American astronauts from American soil for the first time since the last Space Shuttle mission ended in July 2011. Space Shuttles began flying into space in 1981. Much to its chagrin, NASA has had to pay Russia millions of dollars to take astronauts to the ISS using the Russian-made Soyuz spacecraft. NASA wants this humiliating agreement with Russia to end, hence ita strong interest in Crew Dragon 2 and Starliner. 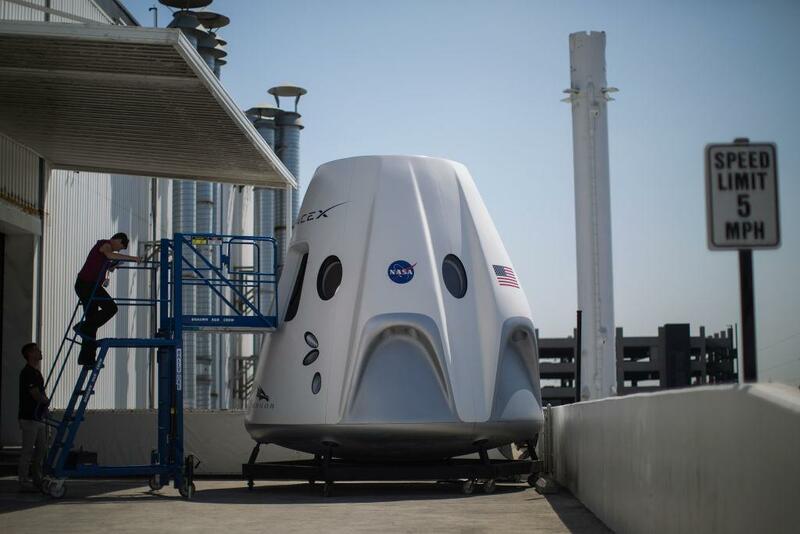 Crew Dragon 2 is the manned version of the Dragon 2 reusable spacecraft currently being developed by SpaceX. The unmanned version of Dragon 2 is called Cargo Dragon 2. Both versions were designed to be launched from the Falcon 9 Block 5 launch vehicle. They will splashdown upon their return to Earth. Crew Dragon 2 and its rival, Starliner, can each transport seven astronauts into space. Designed to remain on-orbit for up to seven months, Starliner was designed for launch aboard four launch vehicles: Atlas V, Delta IV, Falcon 9, and Vulcan. The maiden flight for Starliner will be launched with the Atlas V N22. The first uncrewed orbital test mission of the Crew Dragon 2 spacecraft was to have been launched in December 2018. Designated “SpX-DM1 (SpaceX Demonstration Mission 1),” this mission was to have tested the approach and automated docking procedures of Dragon 2 with ISS. Dragon 2 was to have remained docked at the ISS for a few weeks. Dragon 2 was to have conducted the full re-entry, splashdown and recovery steps to provide data needed to qualify for flights transporting humans to the ISS.